Over the last four years, Lathika Vithanage has established herself as one of Australia and Europe’s up and coming baroque violinists. 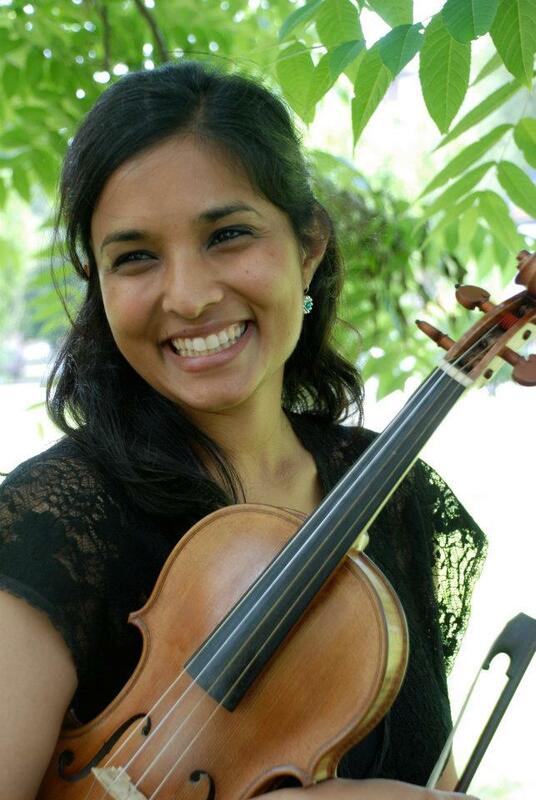 With the assistance of Italian Government scholarships, Ian Potter Cultural Trust Grants and an Australia Council Skills and Development Grant, Lathika has been able to base herself in Milan, Italy since 2010, to study with violin maestro Stefano Montanari. She has also taken part in courses with violin professors including Susanne Scholz (Austria), Judy Tarling (UK), Richard Gwilt (UK/Germany), Daniela Helm and Petra Mullejans (Germany), Olivia Centurioni and Enrico Onofri (Italy), Anna McDonald, Neal Peres Da Costa and Rachael Beasley (Australia). In a very short amount of time, Lathika has found herself at the forefront of competitive baroque violin opportunities in Europe, with leading positions in the Montis Regalis Training Academy Orchestra in 2011 (Alessandro De Marchi), the Festival Aix en Provence opera orchestra 2011 (Leonardo Garcia Alarcon) and the 18th and 19th Ambronay European Baroque Academies in 2011 and 2012 (Sigiswald Kuijken and Leonardo Garcia Alarcon). She is now regularly called to freelance with high profile European groups including: Accademia Bizantina (Italy), Freiburg Baroque Orchestra (Germany), Ensemble Clematis (Belgium), Concerto Italiano (Italy), La Cappella Mediterranea (France) and La Divina Armonia (Italy). Her reputation as a leader is developing having been called to lead with groups including a Sony recording of Vivaldi Oboe Concertos with Silete Venti to be released late 2012, Milano Classica and La Verdi Barocca. In 2011 she became a founding member of two new European baroque ensembles: Abchordis Ensemble and Il Caleidoscopio. Abchordis Ensemble is an ensemble dedicated to uncovering virtually unknown Italian repertoire for 4 voices and string accompaniment. Il Caleidoscopio consists of violin, viola da gamba and baroque harp at it’s core, but are regularly joined by guest artists to perform programs all around Italy. Lathika is commited to returning to Australia to share her experiences with her colleagues. She was invited to return for Pinchgut Opera’s 2011 production of Vivaldi’s Griselda, and looks forward to returning for a 2013 season with Salut! Baroque.